Hi lovelies! A few weeks ago i visited True Italic for the first time and i thought i should share my experience. My friend Chloe has her finger on the pulse of where is new and fabulous in town and since i live in the Deep South where not a whole lot happens on the culinary front (don’t get me wrong, there are some nice eateries but it doesn’t have that urban buzz we were in the mood for), we decided to meet for a girl’s supper in her hood. 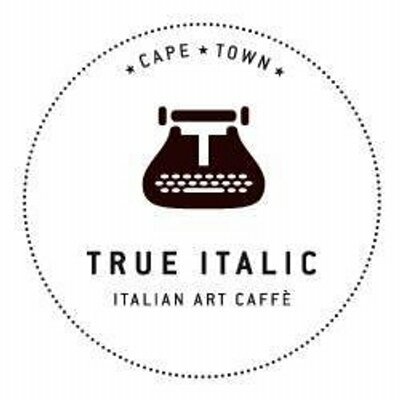 She suggested True Italic at the bottom of Bree Street, i’d heard great reports about this Italian art cafe and was so excited to go. Ok, i was BEYOND excited to leave the chaos of bathtime behind me – i could have been en route to the Wimpy and i would have been equally ecstatic. Things boded well when on walking into this eclectic-slightly-grungy spot that i realised i had been here before. Years ago, some friends and i had a huge party in the same space for our 30th, it was wild and so much fun! True Italic’s (or the space it inhabits) original incarnation was as the Harley Davidson bike workshop – now it is clearly a haven for people looking for an authentic Italian experience – the place was crammed! Chloe was waiting for me at a tiny little table close to the kitchen and i knew we were in for a treat when i saw piles of just coiled fresh pasta resting on the wall that separates the restaurant from the kitchen. That and the fact that the owner, Luca, was calling off orders in Italian. Always a good sign, yes? Ok, so, after Chloe and I had had our customary 10 minute express catch up (you know where you both bounce around 10 subjects like crazed lunatics, not finishing a sentence before starting on the next question?! ), we finally settled on some Prosecco to share and cast our eye over the menu. And what a menu it is. As with proper Italian restaurants True Italic serves a large Antipasti selection followed by Primi, Secondi and puddings. One holiday with a friend in Italy we made the mistake of ordering from each section – shew, i coudn’t move for hours afterwards and i honestly have no idea how real deal Italians do it. But i digress, Chloe had heard the Melanzana Parmigiana was amazing and i freaking love Burrata (proper creamy mozzarella) and they had a burrata, rocket, fresh tomatoes and Parma Ham combo on the menu, so we ordered them to share. Oh, before that, we may have eaten our body weight in the most delicious, bouncy just-baked focaccia bread with suitably green and peppery olive oil. Let me tell you, lovelies, that Melanzana Parmigiana was INSANE – cheesy without being overpowering, the right balance of tomato without it being too sharp and just enough aubergine for a little give. Coupled with the dome of burrata with its oozy centre, salty Parma and peppery wild rocket – sublime is the word! 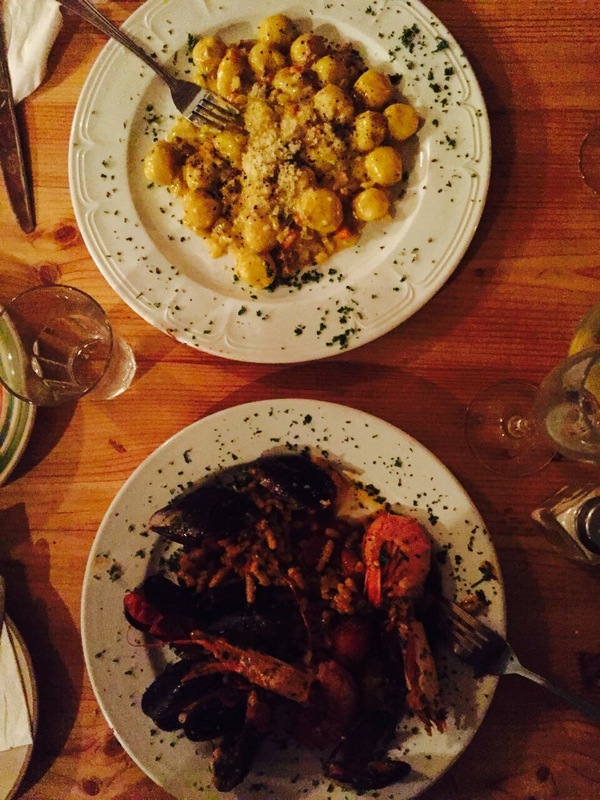 Chloe and i settled into more nattering and some more Prosecco and before we knew it, our main courses arrived. I had ordered a prawn and mussel pasta while she went for the gnocchi of the day. Now, i must just explain that we are a formidable dining duo – we very rarely say no to more and neither of us blink an eyelid when 2nds or 3rd helpings are dished up at dinner parties. But even Chloe found it difficult to finish her gnocchi, declaring it the creamiest, dreamiest gnocchi she’s tasted on these shores for a while. My pasta was amazing!! I’m not sure what shape was used but it had a risotto-like consistency and both the prawns and the mussels were suitably sea-like while the tomato based sauce was really flavourful. My mouth is watering even writing about it! Sadly (and i really mean this) we weren’t able to fit in a pudding but next time i am going to go easy on the bread in the beginning of my meal so i can scoff some authentic Tiramisu or similar. The menu changes daily so you can expect to get an array of seasonal ingredients with your choice of pastas or gnocchi. and if you’re a vegetarian you’ll be thrilled – there are lots and lots of meatless offerings. They also have meat on the menu – they had some really delicious sounding lamb cutlets on the menu that night and i’ve heard the seared tagliata is sublime. 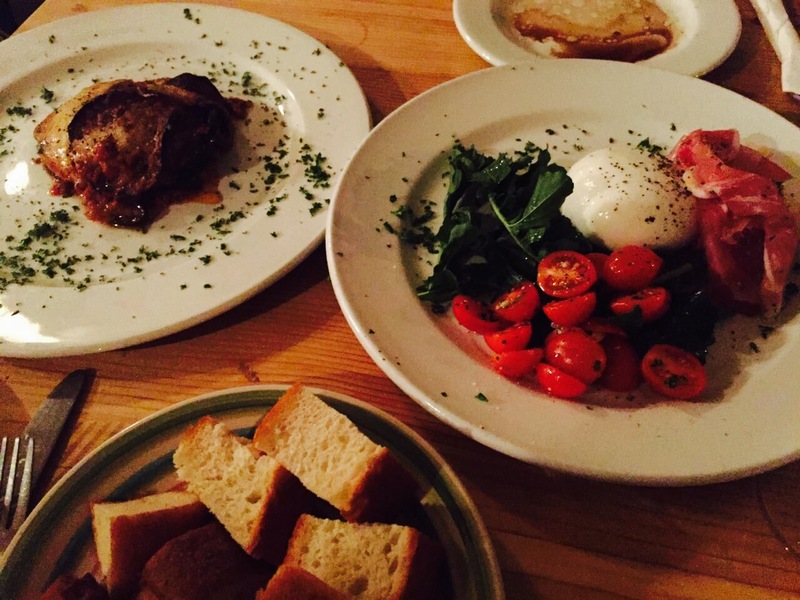 I can’t wait to go back to True Italic – it really is a slice of authentic dining in the heart of the city. 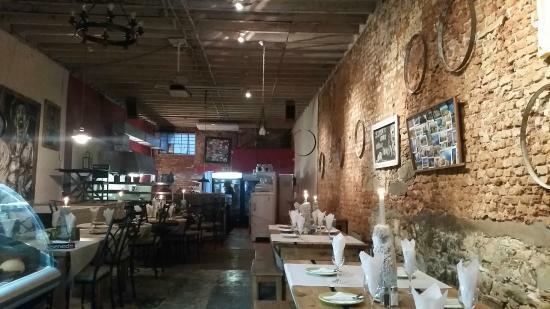 Oh, they’ve also got a private dining space downstairs – you can read about it here.